Born in Madrid in 1957, he studied chemistry at the Faculty of Science of the Universidad Autónoma of Madrid (Spain) where he graduated in 1979. He obtained his PhD Degree in oxidation catalysis at the same university in 1985, with his research work done at Institute of Catalysis, CSIC, in Madrid. During 1987-1988, he was a postdoctoral position at the Bologna University with Prof. Trifiró. In 1989 he was appointed Tenured Scientist at Institute of Catalysis. He moved in 1990 to the Institute of Chemical Technology (ITQ) sited in Valencia. In 1997 he was named Research Scientist of CSIC and in 2004 was promoted to Research Professor of CSIC. 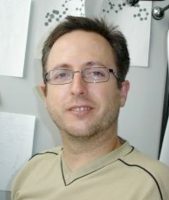 López Nieto has focused his activity on the synthesis and characterization of mixed metal oxides, with redox and/or acid characteristics, to be used as catalysts for selective activation of hydrocarbons with especial attention on the partial oxidation and ammoxidation of paraffins and olefins. He is also involved in the synthesis of metal containing porous materials as catalysts in redox and acid catalysis. He has educated 8 PhD students and 5 postdoctoral fellows. He is the author of more than 130 scientific papers in the field of heterogeneous catalysis. He has filed 6 international patents, written 5 chapters of books and presented numerous communications in international Congress. Since 2006 is Editor of the journal Applied Catalysis A: General. From January 2006 is Editor of Applied Catalysis A: General. He is coordinator of Interuniversitary Master on Sustainable Chemistry at the Universidad Politécnica de Valencia from 2006. 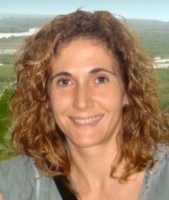 From 2009 is a Spanish Council Member at the International Association of Catalysis Societies (IACS). Marín García, María Luisa Llabrés i Xamena, Francesc X.